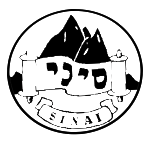 Sinai was started in 1955 by a group of families who wanted an educational environment that would inspire and challenge their children to develop a Jewish identity that would be at home in British society. Sixty years later and Sinai Youth has grown into a thriving youth movement that is proud to serve the North West London Jewish community. The T.O.V program stands for Tochnit, Outing and Volunteering. Each week over a 100 of our chanichim take part in one of these 3 activities. It is exclusively peer-led and often operates across year groups. We believe it to be the foundation of our operations, as each week we are able to inculcate in our chanichim the message that education, inspiration and making a difference is not just for the holidays. Our Junior Camp is a two week residential camp in the summer and one week in the winter. Each camp is designed to educate, inspire and challenge our chanichim. We pride ourselves on a family and community enviroment and all chanichim stay on the same site and have camp together, making lifelong friendships. Each camp is comprises of unique Tochniot, Peulot, Shiurim and amazing adventure activities. Our Adventure Camp is a ten day whirlwind of activities which takes in go-karting, paintballing, zorbing, a theme park and much much more. Every day is full of many high class events. There is not a moment for the lucky Year 10 group to pause as the evenings are full of tochniot and shiurim upon return from the activites of the day. We also offer an intensive short adventure camp in the winter before the Israel Tour Experience. The Israel Tour Experience is the culmination of a chanich’s involvement in the Sinai family. On tour they will experience Israel like never before: learning to love the land, it’s history and it’s people. They will also be challenged to learn and engage with many of the State of Israel’s modern day issues. Throughout it all they will learn to appreciate the historic and religious connection that we, as Jews, have to the Israel.